Innovation that delivers growth. Customer empathy that’s actionable. Killer communication that our audience loves. We want all these things. Storyboarding is a practice anyone can use to get them. No drawing skills required. While storyboards originated in and remain prevalent with the art & design community, they are ultimately a practical tool. The first documented use of storyboards in their modern form was by the team at Disney working on the ‘3 Little Pigs’ movie. Before that, the animators would work in a room together and just hope that all their hard work was on target and made sense together. 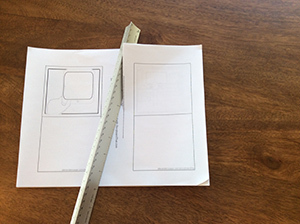 Storyboards are a kind of prototype- something we create to bring our idea to life quickly and cheaply. We use it to vet the idea before we waste time & money on something no one wants. In a relatively literal example, I worked with animator Ed Watkins on the storyboard below. It’s for a video on my site promoting my book. The process of animation is expensive and time consuming, so making sure everyone knows what they want (and why) beforehand is important. For workshops, group exercises, and generally getting started with storyboarding, I like to use these paper squares and pencil or pen. The PDF you can download here has a set of typical scenes which you can print out and use. They do need to be cut or ripped since there are two/page. You’ll find cutting marks and the individual pages and what I actually like to do is use a metal ruler and just rip them (see left). I created the squares above with the online tool, StoryboardThat.com and you may find you want to go there and create your own (not to mention creating digital storyboards once you’re ready). If you want to use the above squares in the PDF on Storyboardthat.com, you can copy the storyboard template using the preceding link. Regardless, I highly recommend the ‘pencil’ stencil available on that site for this type of storyboarding. Most narratives of this type you can break into these three sections: trigger, action, reward. I highly recommend considering these, particularly if you’re having trouble getting started. Many thanks to Nir Eyal for bringing these key psychological concepts into focus for the practitioner. Trigger How does the problem scenario initiate? Action How is the action executed? How easy is it? Reward How is the persona gratified? In the practice of design, we try to anchor to ‘problems’. Words are faulty instruments and here ‘problem’ could mean anything from a job to be done (practical/B2B) or a need/desire (consumer). 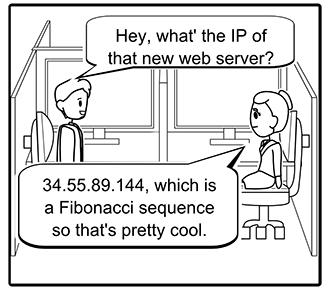 For more on this see the material here on Problem Scenarios. This framing allows us to describe how we think we’re going to improve the customer/user’s life and answer the pivotal question ‘Is our proposition really better at delivering on this problem than their current alternatives?’. You can use the trigger-action-reward pattern to structure your storyboards on this. I use a (fictional) example company called Enable Quiz in my book. They offer lightweight technical quizzes for anyone looking to assess the skill sets of engineers they’re looking to hire. 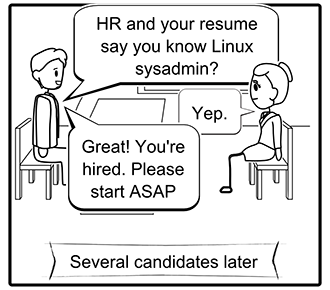 The personas are ‘Helen the HR Manager’, ‘Chris the Candidate’, and ‘Frank the Functional Manager’. Helen’s responsible for doing initial interviews, Chris is being interviewed for the job, and Frank’s the hiring manager (Chris’ hypothetical future boss). The panels below show a before and after for Enable Quiz’s customers. 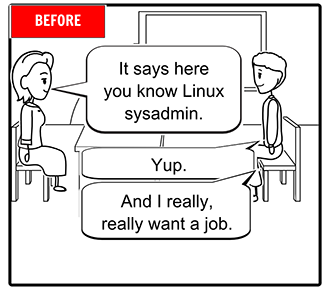 The alternative is some casual questioning of the candidate (before). Then we think about how this would work with the Enable Quiz solution and its proposition. I like to start the customer discovery process with personas– vivid depictions of your customers in context (think-see-feel-do is a good checklist for describing them). These personas have problem scenarios- needs and desires they’d like to fulfill. They also have current alternatives- things they doing (or not doing) about the problem scenario today. You have a value proposition- something you’re going to offer that you hope is better enough than the current alternatives to win over the customer. 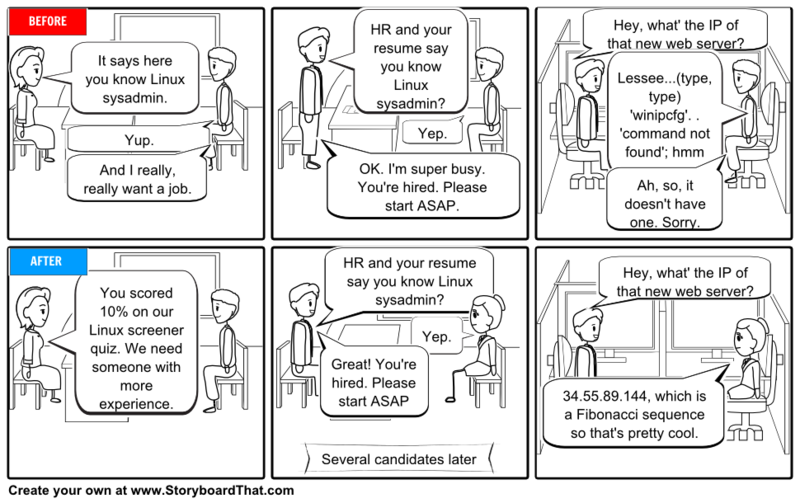 In our example, Helen the HR Manager’s top problem scenario is that it’s just about impossible for her to assess the technical abilities of candidates who come in for interviews. For Frank the Functional Manager, it’s possible, he has the expertise, but it’s time consuming and awkward. 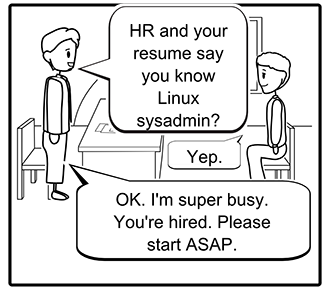 Right now, the alternatives for HR managers are to scan the resumes and maybe call references. For functional managers, it’s to go through an awkward, patchy assessment- or, equally likely, take it on a combination of faith and hope that the candidate has the necessary skills. The ‘Before’ board below describes this situation. Helen the HR Manager does an initial screening on Chris the Candidate. She can look at experience but doesn’t really have the ability to validate the candidate’s skill set. Chris the Candidate is then passed along to Frank the Functional Manager. Frank the Functional Manager is really busy and just goes and make the hire. But in this case a stitch in time would have saved nine- the candidate doesn’t actually have the required skills to the degree Frank understood/expected/wanted. Now Frank the Functional Manager has to figure out how to fix a situation where his employee doesn’t have the right skill sets. 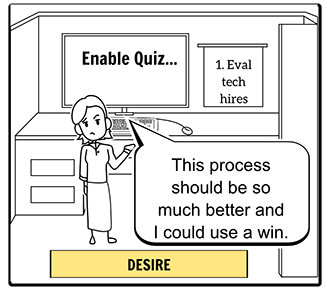 The next board narrates the process once the personas of interest have access to the value propositions the Enable Quiz product offers. Helen the HR Manager now has a simple way to screen out candidates missing the skills Frank the Functional Manager has said are an absolute requirement. Making good hires is rarely easy but Frank the Functional Manager now at least knows they’ll have a certain baseline skill set. And life’s a lot better. Good luck! Please post comments on how this went for you if you have a moment. Tying every major user story back to a vivid, real-world persona & problem scenario and making sure each story has all three clauses is a good checklist for making sure you’re using high quality inputs to drive your product development. Sadly, it’s just a start. Particularly if you’re trying to change a culture of ‘just writing requirements’ or otherwise not substantially engaging with what’s really making users tick, you’ll need to be constantly coaching and showing. You’ll need all the tools you can get. I made notes at the bottom of each panel since you’re probably not familiar with the operations of Enable Quiz. If you’re working with a team that’s already familiar with your topic, I wouldn’t worry about that additional level of detail. In the step above, we wrote an epic and then used a storyboard to thinking through the course and sequence of the epic without necessarily worrying about how the storyboard panels might break down into individual stories. This is the best first step since you want to make sure you’re creating a vivid, credible customer narrative first and then worry about formulating that narrative into stories. Agile user stories are a tool, not a strategy. They provide an opportunity for quality work, but by no means guarantee it. C) “As a functional manager, I want to review, revise and confirm the set of question topics the HR manager has selected so the quiz will be ready to use for first round candidates.”Note: This raises some interesting and possibly non-obvious questions about how Helen will do this and how we can make it easier for her to collaborate and close on this with Frank. D) “As a manager, I want to increase the limit on how many quiz question ‘banks’ I can use so that I can move ahead with the quiz I’ve formulated.”Note: I’m not adding test cases against these stories in the example, but a good one here would be to make sure that users can put together quizzes with as many question banks as they want, getting warnings about their limit but only encountering a hard requirement to up it once they want to actually use the quiz. Bored with the level of detail here? Well, good products are the accumulation of lots of small, thoughtful details. 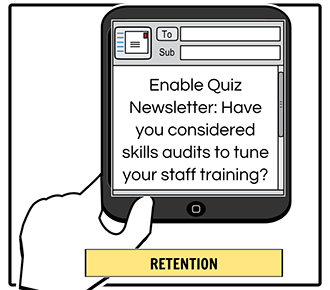 F) “As a manager, I want to administer the quiz to a recruit so I can understand where they are on key skill sets needed for the position.”Note: It’s very likely with a little more digging this story is actually an epic itself and needs more detail, but I’m trying not to bore you, reader, with too much stuff! Let’s take a look at the child stories this storyboard might suggest. 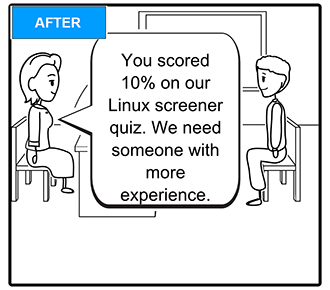 This epic assumes Frank and his company have already successfully onboarded with Enable Quiz, using it for screening new recruits. People get busy, etc. Frank needs to see who’s finished vs. not so he can send automated and/or human reminders to finish up the quiz. 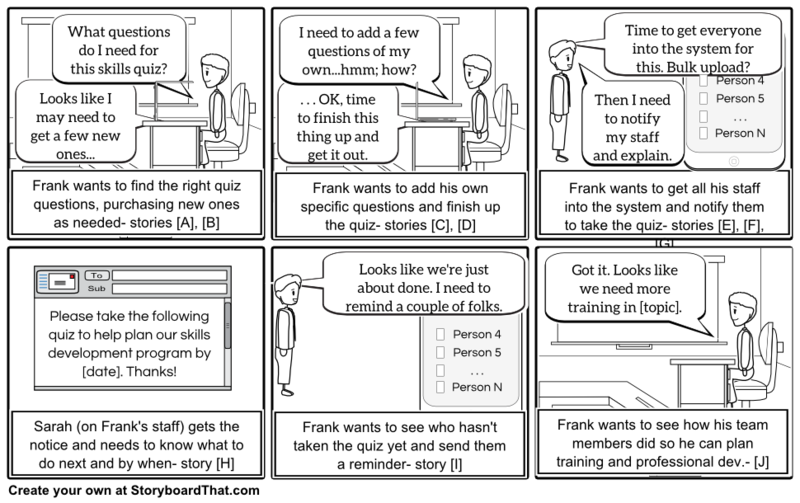 Why user storyboards in agile? 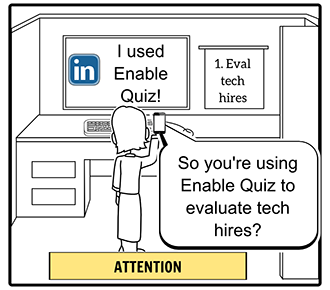 The board below is an example for a fictional company, ‘Enable Quiz’, that I use for example purposes in my book. 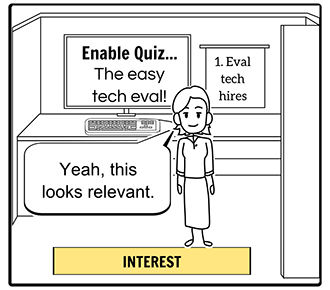 Enable Quiz offers lightweight technical quizzes for anyone looking to assess the skill sets of engineers they’re looking to hire. 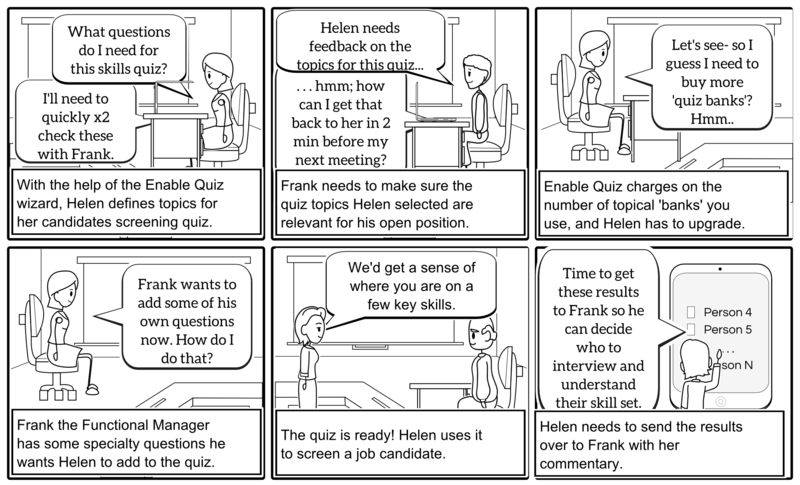 The key personas are ‘Helen the HR Manager’ and ‘Frank the Functional Manager’. Helen’s responsible for doing initial interviews, and Frank’s the hiring manager. Here, I’ll narrate a take on the customer acquisition process. A great way to extend any storyboard that you see here is to detail out Think-See-Feel-Do for the key personas in each panel. 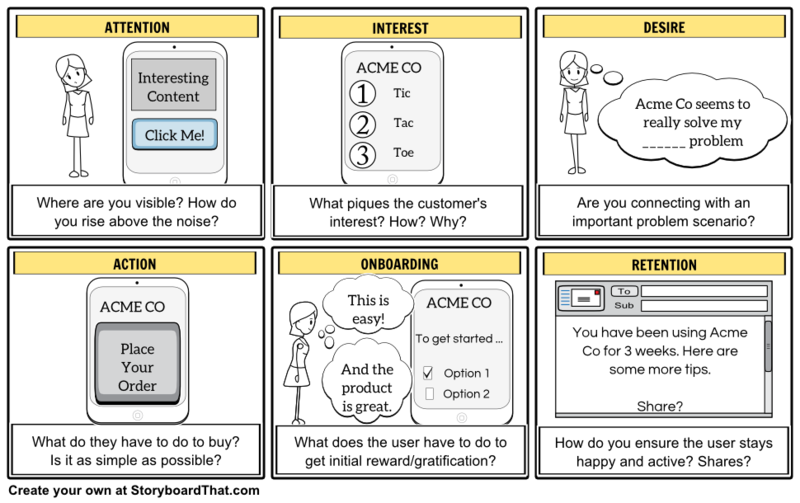 Storyboard is a general tool which you can use across just about every part of the Venture Design framework. Personas drive every storyboard. 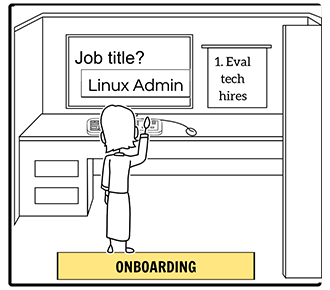 You saw how to bring problem scenarios to life with the before and after storyboard. Storyboarding agile epic user stories is a great way to supercharge your practice of agile. Thinking through user acquisition and the customer journey is a great way to frame your product and promotional executions in vivid, testable terms.